Among the list of the most popular countries where the Russian people go for a new, better life is China, and every newcomer has its own story and motives. That is hard to say how many Russians live in China - according to the official data, about 15 thousand people. However, another 15 thousand people live without consulate registration, who are not willing to inform others about their living in China. The first Russians visited China in the period of the Yuan (Mongol) dynasty (1271-1368. ), as was mentioned in Chinese chronicles. But possibly, the relationship between modern China and Russia began even earlier. Since 1860 year the first Russian merchants started tea trade with Shanghai merchants. Later, when the cooperation became more important for both sides, the Russian businessmen decided to open their representative offices in Shanghai - «Popov Bron», «S. Litvinov»,«Trading Co». 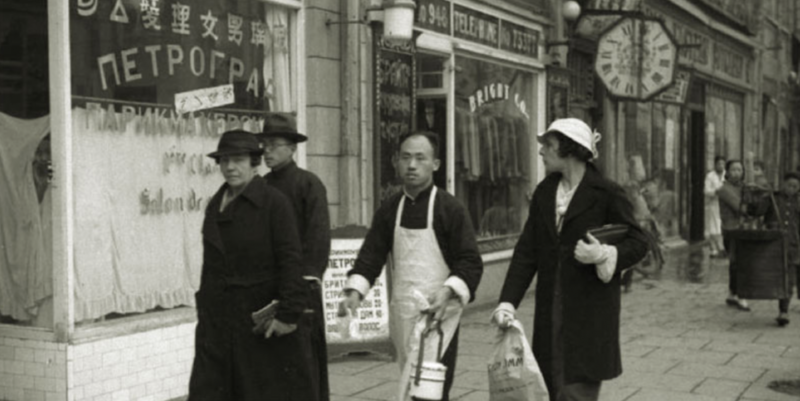 After the October revolution China harbored Russian refugees - that was a big wave of white immigration and the number of Russians in China reached 400 000 people. Among the immigrants of that time, a lot of outstanding Russian personalities came to China - Alexander Vertinsky (composer), singer Fyodor Chaliapin, the orchestra of Sergei Eromolaev and Oleg Lundstrem, KP Makletsova and EA Orlovskaya (prima ballerinas) and others. Russians started to publish newspapers and organized the radio "Voice of the Soviet Union" opened Russian shops, Russian theater. Now China attracts a lot of businessmen people - here they can realize any commercial project, find partners and set up a production. Some business owners are opening representative offices, with numerous staff, while others prefer to perform personal intermediary services. The Russian-Chinese Found for Cultural Development and Education is in charge of different university and student exchange programs. Each year many students come from all over Russia to study in China using grants of the found to practice their knowledge in different Chinese universities such as Beijing, Shanghai, Jilin, Dalian, Hangzhou, Harbin, etc. Not only students come to China, but also teachers come. China has always been independent, and "middle" kingdom, so studying a foreign language was not considered to be necessary and worthy. Now China became the most economically developed country and international relations with the other countries have become more frequent and important, that is why Chinese government is trying to encourage the new generation to study English and other foreign languages. 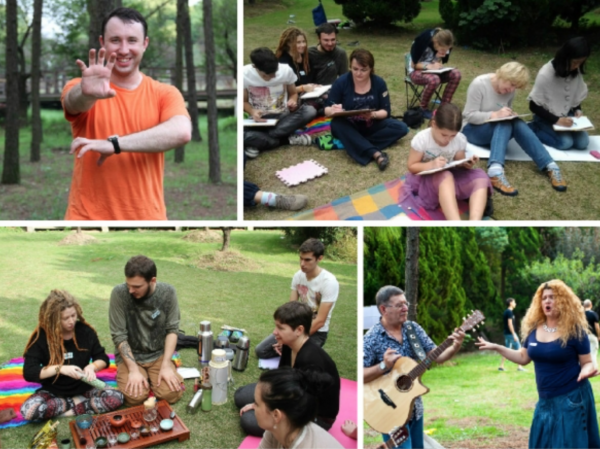 Language teaching (Russian or English) ​​- one of the most common reasons for moving to China. A freelance artist, a locomotive traveler, a downshifter can easily come to China and stay for an indefinite time, China has nice climate, the country and people are very flamboyant and turn you upside down with a plenty of Asia colorful life full of new adventures. In many ways, life in China is very. People who come to China for the first time and see the life of a big Chinese city, are surprised with the things they see - 20 meters high elevated roads overlook the city, the tallest skyscrapers in the world lighting in the nights, luxury compound villas that look like private tropical gardens, speed trains that go faster than airplanes ... Chinese people also impress foreigners - they are friendly, curious and naive, they never leave you indifferent. Gradually, this new and strange country becomes for you like a second home, and Russian "Chinese" people join the everyday life of the East world, but keep their Russian mentality. After a while, when the romance of Asia disappears, every Russian expat start facing everyday complicated issues - how to find Russian friends in China, where to buy familiar Russian products, how to understand Chinese mentality, where to educate children - in Chinese school or an international school, even the problem of unblocking Youtube service! Living abroad is always a compromise, and mostly, expat people are lack of simple friendship with fellow countrymen, family snuggles and speaking using native language. The most active organizations, that help to unite the compatriots scattered across China - "Russian Club in Beijing" and "Russian Club in Shanghai" (1998). These communities have successfully joined hundreds of people, helped them to feel again the Russian cultural traditions. Later another cities also organized such clubs - "Russian club in Guangzhou", "Russian Club of Harbin." In 2002, with the support of "Russian Club in Beijing" and "Russian Club in Shanghai" was created web portal "Polusharie," and now it has already 198 000 registered Russian speakers living in Asia, or people who are interested in oriental culture. For most of them, this is the only way to find information about life in China, ask for help from compatriots, find translation of some words, ask for business advice, or just to chat about funny things happening in China. The founders of polusharie.com website - Michael Drozdov, Sergey Litvin, Albert "Papa HuHu" Krisskoy and others. They are also involved in organizing of various cultural events - regular Russian-speaking meetings where newcomer expats may get to know each other, and experienced expats share their news. "Window to China», the consultancy agency organize the weekly business breakfasts for entrepreneurs to discuss common questions of business in China. 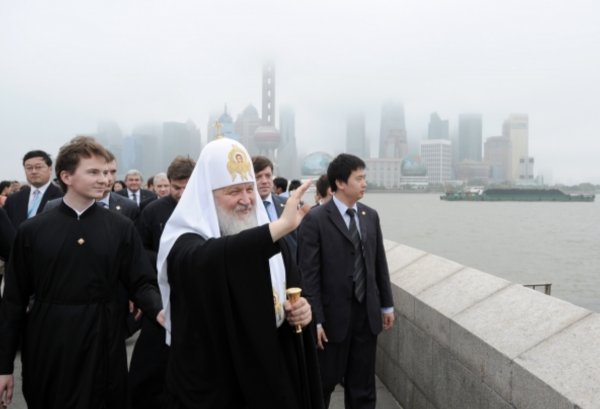 During Russian religious holidays, people arrange in Beijing, Shanghai and Guangzhou Orthodox church service, and the embassy holds weekly church service, Russian children may study in Orthodox school "KOLOSOK." 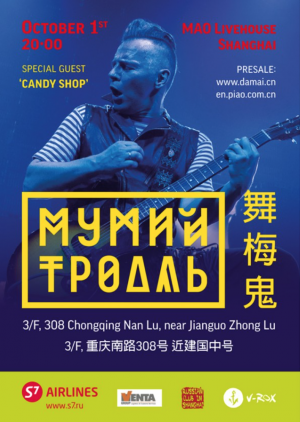 The Russian club invited and organized concerts of favorite artists in China - Mumiy Troll, Boris Grebenshchikov, and other well-known and beloved personalities. Besides the official events, Russian people living in China, organize different creative associations. 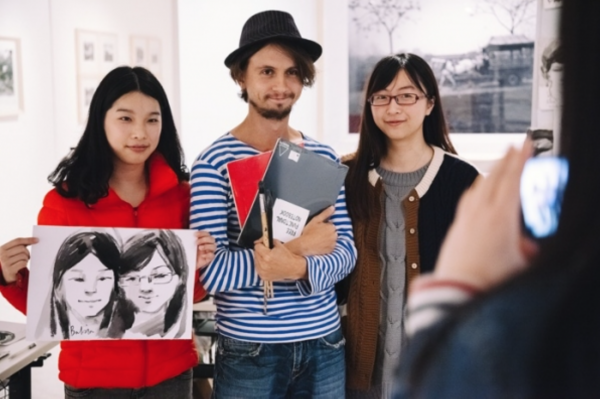 In Shanghai they regularly arrange meetings of Russian-speaking "Art Picnic" where everyone may share his impressions about China trip, tell about some China life hacks, teach friends some interesting hobby and just have fun meeting the new Russian residents. 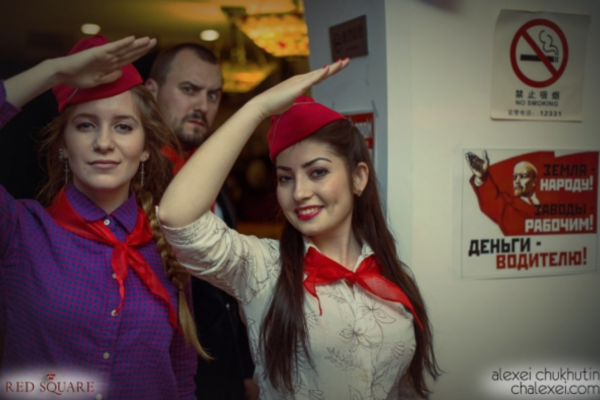 Very often compatriots gather in Russian restaurants. In Beijing they prefer to spend time in a Russian restaurant Dacha Art. For Shanghai expats such a meeting place is the restaurant Red Square. Guangzhou Russians have fun in the Russian restaurant Arbat. In these restaurants you may taste traditional Russian cuisine, and also participate in activities organized specially for Russian «Chinese" expats. For example you can come and watch Russian movies, celebrate children's Christmas party Russian Santa Claus «Ded Moroz». Sometimes these restaurants have themed nights, where people discuss the problems of life in China, news of faraway Russia. Russian students and lovers of intelligent entertainment and mind sports gather to play play poker, mafia, Brain Ring "What? Where? When? ". There are a lot of artistic people in China, who willing to share they knowledge and perform art to others - Russian dance studios (Dakini Dance Studio, Dancing Hip Hop and Jazz Funk), in Shanghai there is reading club «Let’s read, Shanghai! ", others hold master classes on painting, yoga, Russian kids even may attend children orthodox school "KOLOSOK." Among the Russians living in Hangzhou capoeira classes are very popular, the classes are held by the chief editor of Magazeta and Alibaba worker - Alexander Maltsev , who encourage many expats for active life. When come to China, many Russians learn that habitual Russian products are not so easy to find in this country. Chinese stores have not all the needed products that we easily may find in any Russian store. You have to do your best to find brown bread, herring, pickles, buckwheat, delicious sweet pastries, beetroot. The easiest option - to order ready food from a Russian restaurant. Such services are provided by the restaurant Red Square in Shanghai, White Nights and Pushkin restaurants in Beijing. There you can buy also cakes for the Easter holidays. 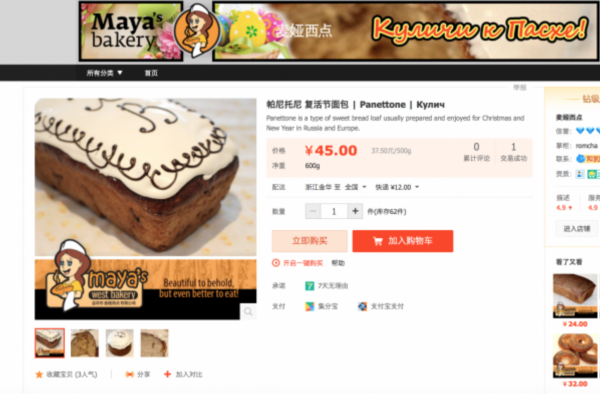 Also you may order Easter cake on Taobao store - using official Taobao store of Russian bakery shop «Maya». Besides the products, the majority of Russians in China have problems with children’s education, medicine and cosmetic services. The main reason is language barrier and culture specifics. Coming to Russia, Russian expats always stock up on medicines, as China's medicine too expensive, and hospital treatment does not always satisfy the foreigners. Russian doctors, who work in international Chinese hospitals are aware of the problem, and try to help with online consultation on polusharie.com website. For example a Russian dentist Anna has the regular column about the tooth care and receives patients in Shanghai clinic. Another doctor, Ilyas, has practice in Beijing hospital. Cosmetic procedures, and even a simple haircut in a Chinese hairdresser is always a trouble for Russian expats - European skin and hair are very different from Asian. 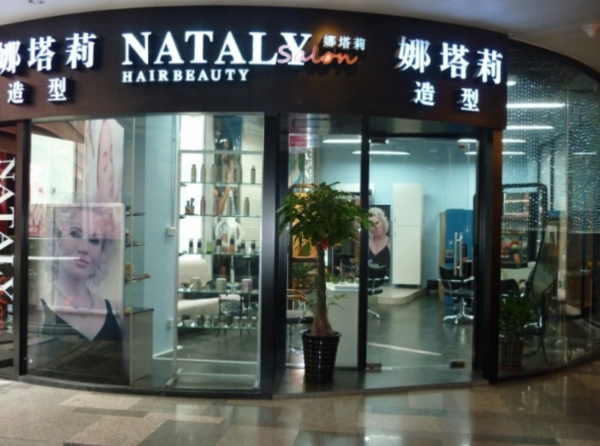 When a Russian hair artist Natalya opened in Shanghai the Russian hairdresser "Natalie", Russian locals and other foreign expats quickly advertised quality of service in «Natalie» hair bar. Now it is very hard to make appointment and you have to wait for several days. In Guangzhou people may use the services of another well-known Russian hairdresser. Hot summer, cold air conditioners and air pollution in China has very strong influence on your skin, and therefore Russian beauty treatments at the beauty parlor are also very popular. In China, a lot of Russian expats come to China together with their families, little kids, and sooner or later, the question of education appears. Only in there is a school for Russian children, controlled by the Russian Embassy, but that is very hard to enter the school, as it is lack of the available places. Russian students sometimes work as part time nannies for children from Russian families - because it is easier for a Russian mother to explain a Russian nanny what she needs. Moreover, everybody knows each other, and familiar person is always more reliable. Some students also teach children Russian language, because these kids spend a lot of time in Chinese society. The life of Russian people in China is not very easy, but this country is very hospitable and anyone who dares to start a new life here would find the opportunity to succeed.